Its some times very annoying situation when you have more than one Gmail account i.e. 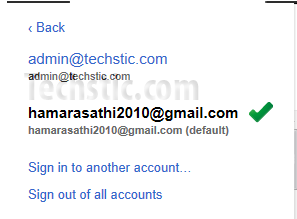 one personal, other for business work, and you want to Login to Multiple Gmail Accounts Simultaneously in Same Browser, but in normal case it is not possible to access more than one Gmail accounts at same time in the same browser. 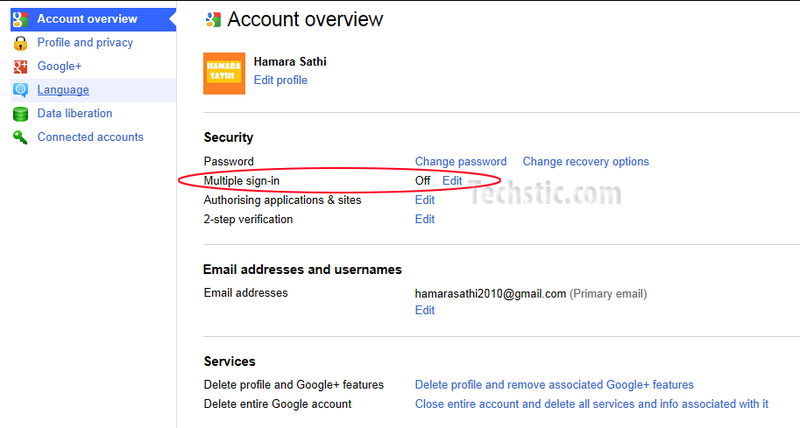 For login multiple accounts, either sign out from one account and then login to another Gmail account or use two different browsers. But few days back Google has enable Multiple Gmail Accounts Sign-in in Same Browser. 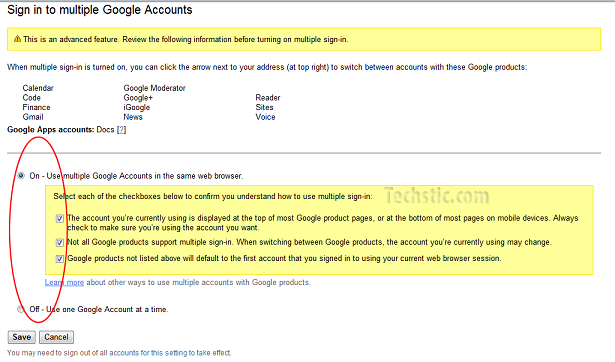 Here is our step by step Guide to show you How to Access to Multiple Gmail Accounts in a single browser. Just Sign-in to any of your Gmail Account or Google Account. Then go to top-right corner of your browser screen and Click on Accounts Setting link. 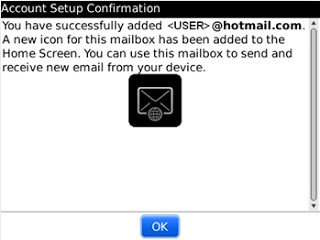 Now look for “Multiple Sign-in” Option. It is set to OFF by default, now click on Edit link. 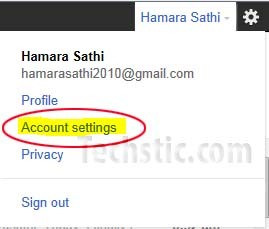 Now you will reach at multiple Google Accounts setting page, select the ON radio option along with all the checkboxes as shown in the image below. Now click on Save Button on the bottom side of the page and You will receive a confirmation message “Your account information has been updated and saved“. Now either click on Back link as shown in image below or Sign Out and again Login with any one Google account. 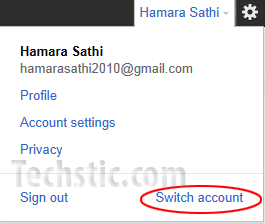 Now again Follow Step 2 and this time you will find a option to Switch Account there. Click on Switch Account link. Now click on Sign in to Another Account link and Login with your other accounts. If you have any issue in above method, then share with us in our comment section. How to free recharge your prepaid mobile in India?